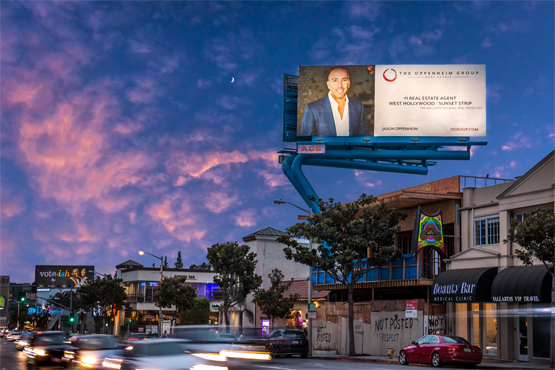 The Oppenheim Group receives significant attention within the real estate community and beyond; the brokerage is the focus of the hit Netflix original series, Selling Sunset, as Jason and his elite agents sell luxury homes to their affluent and celebrity clients. With more than $400 million in active listings, the brokerage boasts some of the most impressive properties in Los Angeles, including the largest home in the Hollywood Hills and one of the largest listings in Los Angeles at $100 million. Jason leases a house to MLB's National League MVP Giancarlo Stanton. Jason is selected as one of The Hollywood Reporter’s Top 30 Real Estate Agents.